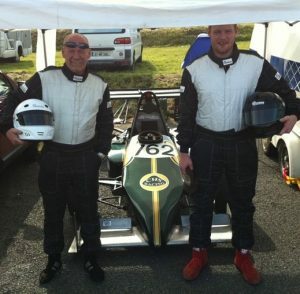 A father and son race team based in Scotland. 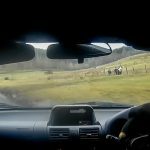 Using their Mk3 Mr2 Turbo they compete in the Scottish, Lowland and Cross Border Sprint & Hill Climb Championships. Their goal? To ensure the memory of Christine Hillary Scoular, who hated motorsport, lives on in motorsport. Christine was a wife to Iain and dear mother to both Mark and Claire. Diagnosed with terminal cancer in 2008 and given only 6 months to live, she bravely endured the last part of her life, before passing away on the 20th of October 2010. Just 2 days before her son’s Wedding. In her will she had left a small sum of money in an account marked for Mark and Iain. Her wish was for them to spend the money on something they both could enjoy. Christine had never liked any form of motorsport. Her most common reply to the partaking in any form of car racing was “Over my dead body”. So it was with great joy and sorrow that after Christine’s passing, the money was spent on setting up a small motor racing team in her honor: CHS Racing.